Does AT&T Phone Insurance Cover Cracked Screens? Yes, AT&T will replace an HTC, iPhone, or any other phone with a cracked screen, lost or damaged, as long as you have bought AT&T’s insurance. 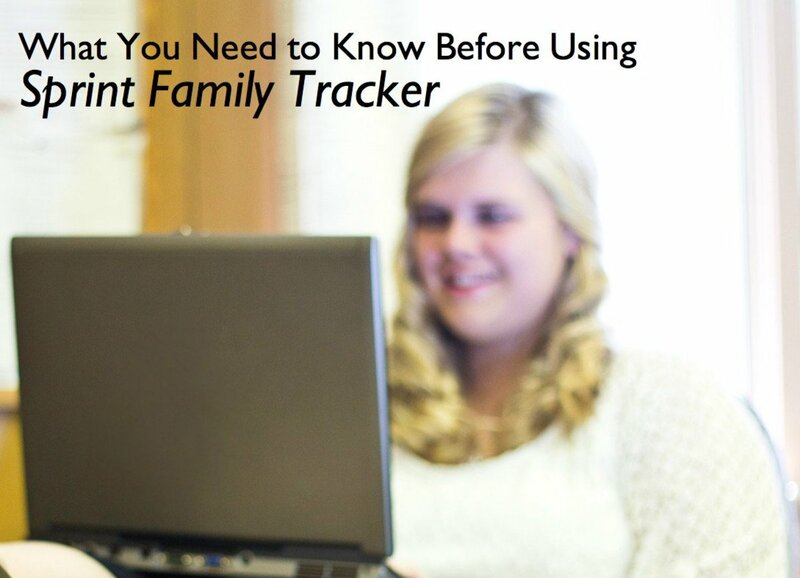 Here is what you need to know. When you arrange a replacement phone or file a claim under AT&T’s insurance program, you do it over the phone or online, not in the store. You'll need to answer a few questions through an automated process before a representative will come on the line. iPhone insurance is covered through a different provider (AppleCare+) than other makes of AT&T phones (Asurion). Insurance coverage limits two replacement phones per year, but there are multi-device protection plans. Return the phone and battery in the package they ship you following the instructions they send. For your protection, you want to delete all the information from your phone before you send it back. Keep your SIM card to use in your new phone. The deductible charge will be on your next AT&T phone bill. It only takes a few days to get a new phone through the insurance program. It is shipped next day delivery. Very nice! When you file an AT&T Insurance claim, the insurance company is actually Continental Casualty Company in California. They underwrite the policy and the AT&T rep acts as the claim adjuster. It may be other insurance companies in other states. The rep will ask how the phone was damaged or lost to determine if it's covered similarly to how an over the phone car insurance claim works. * Note, if you're not insured, it's usually a bad idea to file under a homeowner insurance claim because if there are multiple claims this can drive your rates up. Instead, see if the credit card used to purchase the phone offers a consumer protections policy. Here is how I had my phone replaced through the AT&T Insurance program. 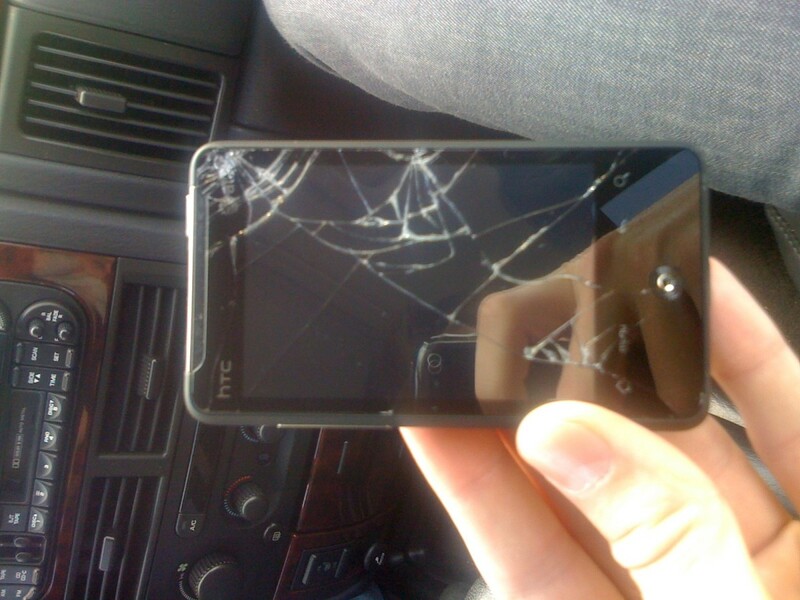 I had only had my AT&T HTC Aria a week when I dropped it onto the cement, from about four feet. It just slipped out of my hand, which for me is a pretty ordinary occurrence; it usually puts a ding or two on the phone, but nothing major happens. Well, this time the phone landed screen side down and shattered. Maybe the phone fell in just the perfect way to compromise the screen, or maybe the screen on the Aria device is just a bit fragile. I was irritated. The next morning I ran to the AT&T store to get a replacement, but they were swamped and said they couldn't help me with filing a claim. I had to call the AT&T phone insurance number since I had purchased their insurance policy (it's actually ACCC Insurance company). The strange thing is; I never purchase cell phone insurance because I think it's a bad deal for consumers. But last summer I saw how easily a phone can get destroyed with a little water damage. This poor girl had saved up her money to buy an iPhone. On the houseboat, she set it next to a sink to recharge. Then a kid washing his hands in the sink splashed a little water on the iPhone and fried it. She didn't have insurance. After seeing how her phone was destroyed by a little water, I tacked insurance onto my plan. It didn’t occur to me then that it would cover a cracked screen damage. Making the claim for the insurance was super easy. I answered a few questions over the phone from the person that acts as the insurance adjuster. Then a representative came on the line and said a new phone would be shipped next-day delivery. There would be a $50 deductible on my next bill, and I could get email alerts about the progress of the delivery. I got the email that day saying the new Aria phone had shipped, and the next day the phone arrived. I opened the phone, stuck in my SIM card and the battery, and I was up and running. Before I returned my old phone, I wanted to make sure I wiped it clean. On an Android-based phone, if you remove the battery and the SIM card and restart the phone while it’s plugged in, it will prompt you to restore the factory settings. I followed the prompts and confirmed all my data had been removed. Then, I put the old phone back into the box the replacement phone came in, I put the label AT&T provided onto the box, and we took it to the post office. I was able to keep the extra battery charger and headphones (which I never use) from my old phone. One of the things that stood out to me is how easy it is to switch between Android phones if you use Google for mail and calendaring. I highly recommend switching to Google mail for small businesses. In about five minutes, I had my new phone set up, and all my information from Google was synchronizing: contacts, calendars, and email. AT&T gets a lot of complaints about the quality of their network, but my experience with their phone insurance department filing a claim and getting a new phone was super smooth. Nice job AT&T! What number do you call to speak to someone about returning your phone for repair if you don't have insurance? You can call your local AT&T wireless store and find the nearest repair center, or you can also use the AT&T wireless support page at https://www.att.com/contactus/index/wireless.html to contact them for device support if you don't have phone insurance. Expect a repair charge. If a person from AT&T couldn't fix your phone, do you have to buy a new one or is it free? The answer is it depends. If the phone is under warranty, just recently purchased, or insured, you should be able to get it replaced. If it's out of warranty, not insured, damaged from abuse, you are typically on your own to replace it. Can I file a claim in store? They will help you by calling from the store, but sometimes they will give you a number to call instead. What happens if the current address is different then billing address when requesting a replacement card? First, call the bank and update your address. It’s often possible to do this online. After the address is updated, then request a replacement card. 44 votes so far. Click a star to add your vote! DO NOT WASTE YOUR MONEY ON THE INSURANCE.. I really like AT&T. They have great customer service. I was disappointed with the insurance plan. I have had my phone for 20 months (almost 2 years). I have never made a claim. I dropped my phone and broke the screen. I called them and they told me because I have never made a claim, I got the discount and would only have to pay a deductible of $112. The replacement phone was refurbished and immediately had problems. It kept having a big white bar at the top of the screen blinking and the apps would not open. Luckily, I noticed it immediately and had not mailed my old phone back yet. I called them and they said they would send another refurbished phone or I could get the current one fixed for a year. No, thank you. I sent their phone back and had my phone screen fixed in 30 minutes with a local company for only $89. There is a deductible, but that's less expensive than buying a new phone. But, I agree the phone insurance isn't a very good deal. I've abandoned it. That stinks. How old is your phone? I have been a customer of AT&T for four years now I went to make my Insurance claim on my phone and they told me they can not give me the same phone and my options are not to different from what I have but I can not use my lapdock with the phone options provided to me, Needless to say I am not happy. So I am stuck in a contract and I have to pay $125 deductible on a phone that doesn't meet the same standards as the one I have been paying insurance on and I am out $400 in accessories that I can no longer use. And there is not a darn thing I can do. AT&T phone insurance is very good. There may be subtleties in what they cover, but if you have a problematic phone, figure out what they cover and it's likely your phone has that problem as well as others. It's important to remember that insurance only covers a few phones. So, if you make too many claims, you'll be out of luck. I am very dissatisfied with the phone insurance and even the warranty My 4G Infuse has been a prob from the beginning and now the charging port has somehow been destroyed. Been on the phone with ATT all week and all I hear is "Unfortunately, that's the way it is" Well unfortunately I'm going elsewhere. I had my sister's Aria for a few months after my phone broke, and in less then a week I had dropped it twice with the screen braking a little more each time. It still worked for a few months after that but eventually the screen became unresponsive. I left the aria and am now on an iPhone 4. The same thing happened to my Aria! The screens are horrible. Thanks for the information, it helped a great deal!!! The insurance is still a waste of money. To replace the screen is $100 from HTC, considering you have to pay a $50 deductible plus $5 a month, that means you must break your screen at least once every 10 months. Also bear in mind that you only have a limited number of claims per year. I bought my phone at best buy because they have asolutley NO DEDUCTABLE!! The iPhone insurance was 14.99 a month, and you could cancel it at anytime. The aria's is 9.99 a month, no deductables, and they'll replace it as many times as you need it. Only thing t doesn't cove ris lost or stolen. SAME EXACT thing happened to me, had my phone for 4 days. A fairly new service now is to fix these screens. I just noticed a lady in line at the courthouse (pls don't ask me my story) but anyways it was IPhone and you just have to get it fixed otherwise it annoys you to death. I am in the market for an HTC w/ video calling though. One thing you didn't mention was the cost of the insurance relative to the cost of the phone. I'm with you in that ordinarily I wouldn't purchase phone insurance. I'm glad you had a good experience with this though, and managed to get up and running with your new phone fairly painlessly. Something that went well; something that went right!!! Hooray! I too, have always felt 'insurance' on our gadgets was a waste of money!! My secretary talked me into getting insurance on my phone and later a camera!! Wow!! Both more than paid for themselves!! The more we use a particular device, the more it pays to insure it!! A cell phone used for emergency purposes only won't be exposed to the sheer number of handling hours as a cell phone that we use to run our worlds!! For me, living at the beach and being an avid photographer, insurance pays every time I accidentally drop my camera in the surf!! Thank you for your greathelp and advice. I was offered insurance two days ago when I bought my new iphone (3GS, they were out of the 4G's) because I lost my other phone. Now, I am going to go back and buy that insurance. Thanks, Paul, for the shared experience. I'd like to insure my iPhone, but they didn't insure them at the time I bought it. It's a worthwhile price to pay, though, given the headache a broken cell phone can be.